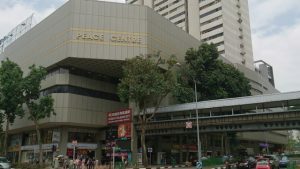 The Peace Centre / Peace Mansion owners applied to the Singapore Land Authority (SLA) around mid-January 2019 to seek in-principle approval (IPA) for lease renewal to a fresh 99 years for the development. The SLA has on 26 March 2019, granted the IPA, subject to redevelopment of the site for a mixed-use project with a total gross floor area of 56,167.15 sqm, being 60 per cent of the total gross floor area for commercial use and the remaining 40 per cent for residential use. The prime district 9 mixed-use site was launched for sale by tender in late February, but the tender closing date was extended to 3 May 2019 by the Peace Centre / Peace Mansion owners (PCPM) to allow developers more time to evaluate the site, pending tender closing of a couple of Government Land Sale sites (which closed on 28 March 2019), as well as for the reply from SLA on the lease top-up IPA. “The response for the Middle Road Government Land Sale site from developers is very encouraging, with ten bidders competing for the site. This shows that developers, while selective in their choices of site locations, have continued to show confidence in city centre locations. The in-principle approval on the lease renewal for Peace Centre/Peace Mansion is also timely, with the announcement by URA on the draft Master Plan 2019 introducing a set of incentives to encourage rejuvenation of the city centre, with more live-in population and vibrancy throughout the days and nights. PCPM, being centrally located and highly accessible, with six MRT stations in the vicinity mostly within 500 to 700 metres’ walk, is well placed as an attractive value proposition for developers looking for a mixed-use development in the city in line with this objective,” says Mr. Tan Hong Boon, Executive Director at JLL. Zoned “Commercial” in the prevailing Master Plan, an outline planning permission (“OPP”) from the Urban Redevelopment Authority has been obtained recently for it to be redeveloped up to the existing Gross Floor Area (“GFA”) of approximately 604,578 sq ft at an equivalent Gross Plot Ratio of 7.89 for a mixed commercial (60 per cent GFA) and residential (40 per cent GFA) project. Based on the OPP, a new development on PCPM site could yield about 362,747 sq ft of retail/commercial space with the remaining 241,831 sq ft for residential use. 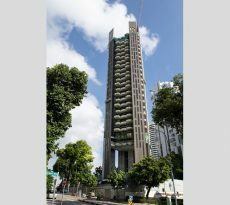 The minimum price of $688 million set by Peace Centre / Peace Mansion owners, reflects a land rate of approximately $1,474 psf per plot ratio, inclusive of an estimated lease top-up premium but before factoring in bonus balcony GFA for the residential component. 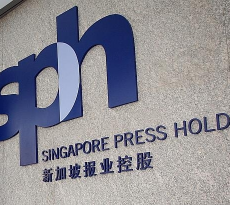 The tender for PCPM closes on Friday, 3 May 2019, at 3.00 p.m.
Chief Mortgage Consultant at iCompareLoan Paul Ho said it is good that Peace Centre / Peace Mansion owners have received in-principle approval for lease top up to 99 years. But owners should not sell off the mixed-development for a song but must hold out for a good price, he added. Indeed Peace Mansion and the adjoining Peace Centre should consider holding out for a good offer because they are located in a prominent area which deserves a premium. The mixed development is prominently located at the junction of Selegie Road and Sophia Road, 1 Sophia Road enjoys a wide double frontage of approximately 175m. If redeveloped the property may be the largest among the malls located along the streetscape comprising of POMO, Parklane Shopping Centre and Wilkie Edge. 4 MRT Stations – Dhoby Ghaut Interchange, Little India Interchange and Bugis MRT Stations as well as the upcoming Rochor MRT Station, serving 4 MRT networks – North-South Line, North-East Line, Circle Line and the upcoming Downtown Line, are all located within a 600 metre radius from the site. Situated immediately next to the Civic District, 1 Sophia Road is within minutes walk from various leading educational institutions such as, SOTA (School of the Arts), Singapore Management University, LASALLE College of the Arts and the Nanyang Academy of Fine Arts etc. 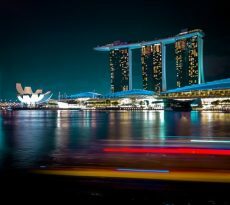 The National Museum and the Singapore Art Museum is similarly within minutes walk from the site. Furthermore the site has a captive market of residents from nearby prime residential projects such as Parc Emily, 8 @ Mt Sophia, The Cathay Residence, Sophia Residences and Suites @ Orchard. A stone’s throw from the renowned Orchard Road, the prime mixed development site is located within the Bras Basah-Bugis district, which is Singapore’s arts, civic, cultural, heritage, design and education precinct, home to the greatest concentration of museums, historic monuments, heritage buildings, places of worship, arts groups, arts schools, educational institutions and lifestyle malls in the city centre. Established shopping amenities, popular eateries and hip cafes are readily accessible within the Bras Basah-Bugis district. Bugis Junction, Plaza Singapura, The Cathay and PoMo are all located within walking distance to PCPM. The popular Bugis Village is also in close proximity. The vibrant dynamics of the locale will propel demand for the commercial and residential space in the new project. Retail demand is strongly supported by tourists, students of nearby educational institutions, as well as residents of nearby upscale private housings in the established Mount Sophia, while residential demand is enhanced by the high income demographics and excellent connectivity of the area just off Orchard Road and Bras Basah Road. 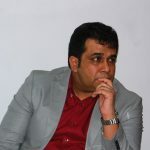 If you are hunting for mixed-developments to invest in, our Panel of Property agents and the mortgage consultants at icompareloan.com can help you with affordability assessment and a promotional home loan. The services of our mortgage loan experts are free. Our analysis will give best home loan seekers better ease of mind on interest rate volatility and repayments. Who was buying residential property in 2018?